Generally vegetarian is one who won't eat meat or any other animal related product. The most common animal related products are meat, eggs, dairy products and honey. However, most of the vegetarians used to take dairy products and honey. According to their food habit, there are four different types of vegetarians. The ones who take all dairy products and honey, but avoid eggs are called lacto vegetarians. Ovo vegetarians are ones who won't take dairy product, but eat eggs and honey. Lacto-ovo vegetarians will eat dairy products, eggs and also honey. Vegans are serious type of vegetarian who depend only on plant based foods like fruits, vegetables, greens, pulses, grains, spices and grams. To the best of my knowledge lacto-vegetarian is the best and safest form of vegetarianism. Of course this can be a life long good habit and keep your youthfulness throughout your life. Recent researches and studies have shown that regular meat eaters will become old even at their age of 30 s or 40 s. These days nobody likes premature old appearance. So, youthfulness can be one of the good benefits of vegetarianism. Obesity is the main reasons for many kinds of diseases like heart attack, blood pressure, diabetes and nervous disorder. In fact your over body weight is indisputably the main reason for premature old appearance. Your habit of being vegetarian will be responsible for controlled body weight. As almost all types of meat contain high levels of saturated fat they can readily increase cholesterol level in your blood. This can be a reason for many health problems including blood pressure, heart diseases and strokes. 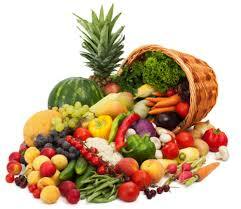 If you are a vegetarian, you can be free from diseases which can arise from high level of cholesterol. This could be the great benefit of vegetarian foods. Unlike non-vegetarian food items, they don't have high amount of protein and fats. Kidneys, heart, brain, liver and colons will be easily affected by regular or over eating of non-vegetarian foods. Life threatening diseases like cancers and jaundice can be prevented when you are lacto vegetarian. Non-vegetarian people have more chances to get Skin cancer, kidney cancer, colon cancer than vegetarians. Since you can be free from many diseases and keep good health of inner organs, your life span will be naturally increased.